What better gift for a couple on their engagement? 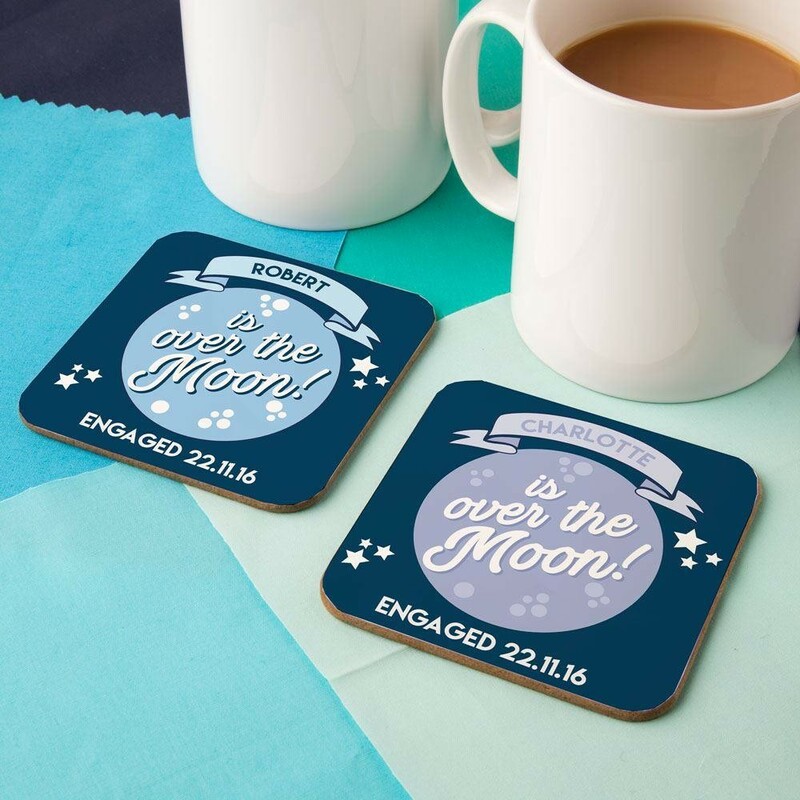 They will be over the moon with such a personal and thoughtful gift! The novelty coaster set is the perfect gift idea with a difference. 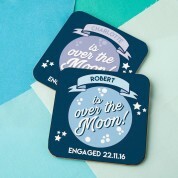 The adorable design features a starry dark blue sky, with a big round moon in the centre. 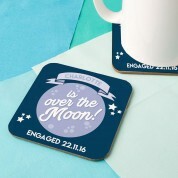 The wording reads: “We're over the moon!”. On hers shows a purple banner and her first name, along with the engagement date. His shows the same, with a blue banner. So if your looking for a gift idea with a difference for an excited couple about to start their new life together, look no further! They are sure to own nothing quite like them and will love to show them off when entertaining guests.